LUGANSK, December 19. /TASS/. Ukraine’s forces backed by artillery attempted an offensive near the Kalinovka village, firing more than 150 artillery shells at the positions of the self-proclaimed Lugansk People’s Republic, the LPR defense authorities said on Sunday. "The main attempt of offensive was made by a unit of Ukraine’s Armed Forces consisting of some 40 people with military hardware near the Kalinovka settlement. The attack was carried out with the support of mortars and artillery weapons from which more than 150 shells were fired at the people’s militia positions," an official told the LuganskInformCenter. Earlier on Sunday, ten Ukrainian troops were killed and some 20 others were wounded during the offensive attempt. 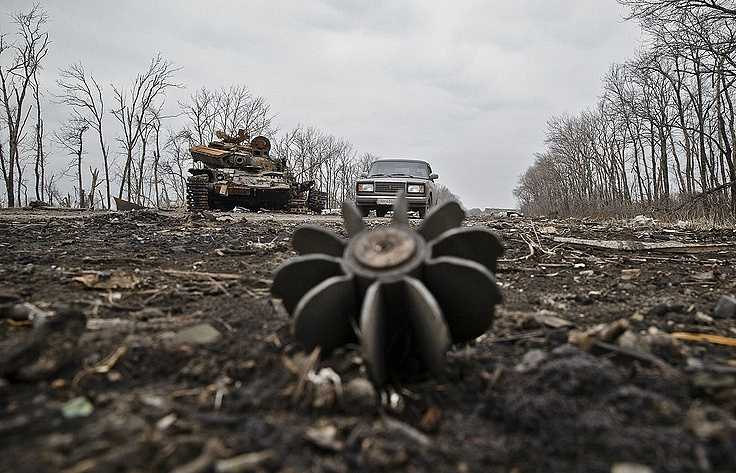 Two LPR servicemen were wounded and two more are missing. The participants of the Contact Group on settlement in eastern Ukraine at the meeting in Minsk, Belarus, on August 26 declared an indefinite ceasefire in Donbass starting from September 1. This was the ninth attempt since autumn 2014 to observe the silence regime in the region. However, the shellings continue.